Every sweet bite of this delicious cake will remind your recipient of your thoughtfulness during any special occasion! 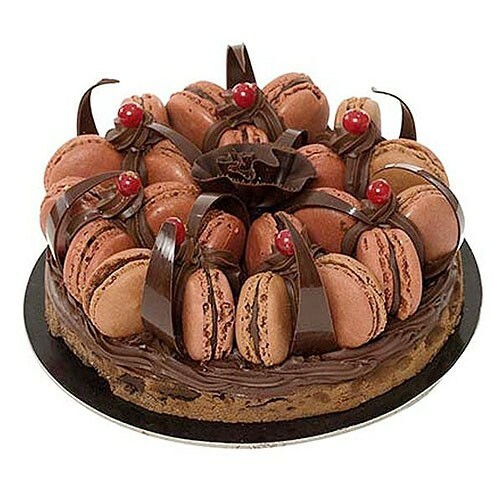 Our Chocolate Cake with Macarons brings sweet flavors that complement any event, holiday or purpose. This gift features a smooth macaronade with chocolaly chocolate fondant for base garnished with chocolate macaroons and is delivered right to your recipient's home or office.